Newest trailer tyres for long distance drives. Wide road contact surface for balanced ground pressure and an even adhesion. Very economical because of the high driving performance and reduced rolling friction. Trailer tyre offering high mileage potential for low platform trailer applications. The SP 252 lpt is Dunlop’s on-road tyre for low platform trailer applications. 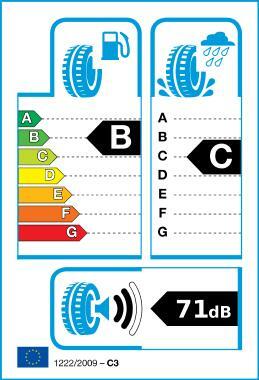 As part of the Action Plan for Energy Efficiency was first November 2012 introduced the EU tire label . Henceforth, the motor vehicle tyres are fitted within the European Union with this indicator and inform about the fuel consumption , wet grip and noise classification of each product. For you we have compiled all relevant information.